We are pleased to announce that we have an official NobleWares YouTube Channel! The channel initially started with some quick test videos for some US Civil War pieces late last year. Since then, we here at NobleWares have been expanding with more videos. The goal of the channel is to provide better representations of products that don’t seem to shine as well from our still product photography. It is important for us to best represent a product to a potential customer; which is difficult to do through a tiny computer screen. We want you to feel as if you have picked up the item with your own virtual hands and enjoy all the intricate details many of our products have to offer. 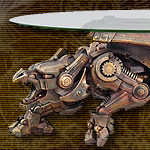 We also simply want to showcase some of our favorite items for sale as well as have some fun. To give an idea of where our channel is headed, our current favorites videos include the Marto 370 God of Fire Katana and the entertaining How-To assemble the Sword Antler Stand (featuring a cameo from Wesley, the newest member of the NobleWares family). Please consider subscribing to our YouTube channel here: https://www.youtube.com/channel/UCGLNd9OvLj7ocM0nWpsEziA and let us know what you think of the new videos. All viewer feedback and comments are greatly appreciated! 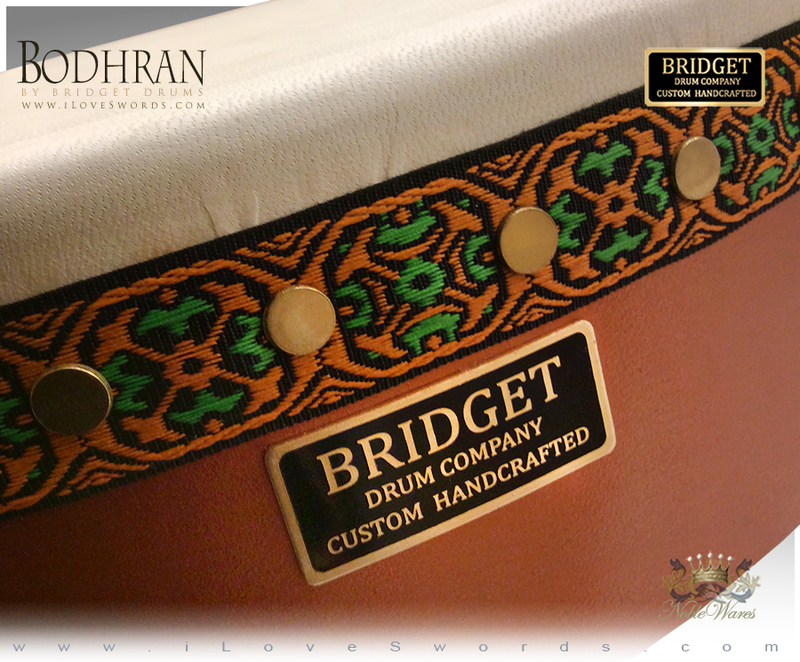 NobleWares has recently teamed up with the boutique drum company Bridget Drums to offer professional, custom, hand made Bodhrans. 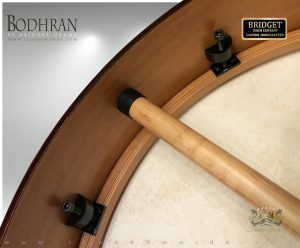 These Irish/ Scottish Bodhran frame drums are beautifully hand crafted in Canada from world renown drum maker Bridget Drums. 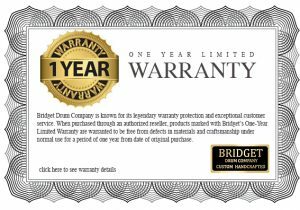 Every single inch of these drums have been meticulously handcrafted using only the finest material, equipment, and incorporate the most important element when handcrafting the perfect instrument, pride in craftsmanship and care. 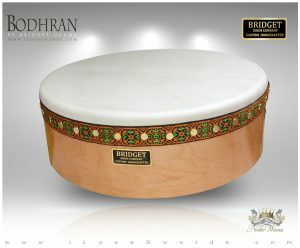 Although most common in Ireland, the bodhrán is a frame drum that has gained popularity throughout the Celtic music world, especially in Scotland, Cape Breton, North mainland Nova Scotia and Newfoundland. 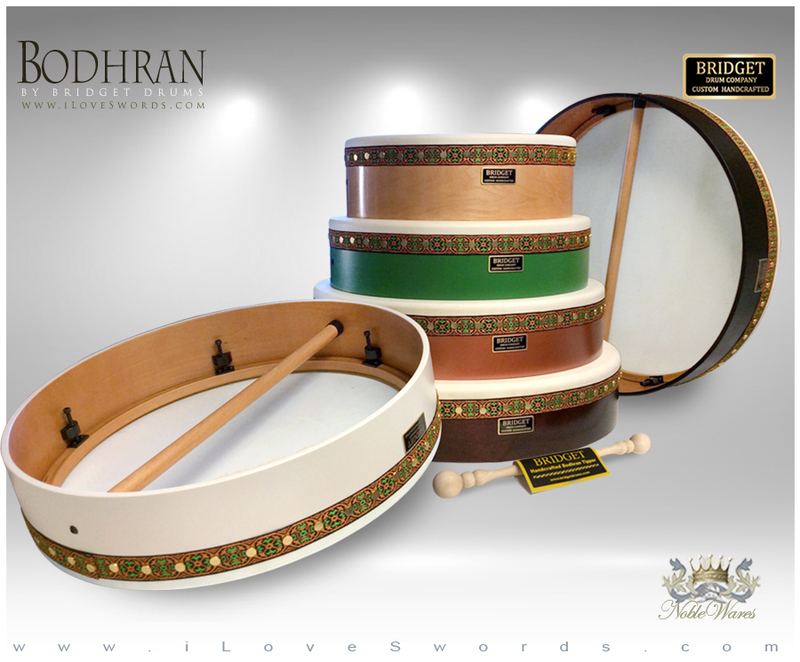 The bodhrán has also found application within the Celtic music of Galicia, often accompanying the gaita gallega (galician bagpipes). This multicultural frame drum is an excellent addition to any musicians toolset, as it is easy to pick-up and play with hand or stick, but intricate enough to challenge even the best drummer. After months of hard work by our little NobleWares family, this week we’re happy to announce the launch of our shiny new shopping cart and checkout system. We're very pleased with how it turned out and we hope you are too. You'll find a cleaner, modern design, a streamlined buyer experience, and continued robust checkout security. 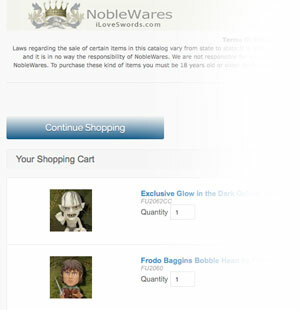 Now when you add items to your shopping cart at iLoveSwords.com, when you go to checkout you will notice very nice product images for each item, more prominent navigation buttons, and a flexible designed checkout process that forms to your browser size… even the tiniest browser window still look and function great. At NobleWares, we have always taken customer security very seriously. Our already SSL and PCI compliant secure cart is now even more secure with validated PCI DSS and PABP Compliant Services. We are on Visa's Global Compliant Provider List and Mastercard's SDP List. Cardholder data is managed using established data security and multiple encryption methods. So you can be confident that customer credit card and order information is very safe. Plus, we now accept more methods of payment, including American Express, Visa, Master Card, Discover, Diner’s Club and UnionPay with plans to include Apple Pay, Android Pay, PayPal and more in the coming months! 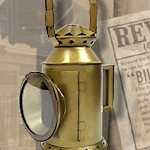 We often have our products used media productions, including TV shows, Movies, and Theater Productions. 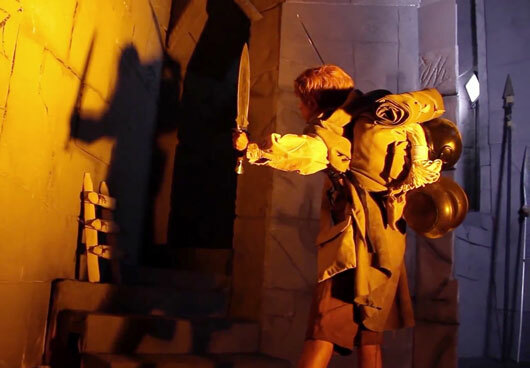 We recently worked with the wonderful Hillywood Show Productions and helped them in their need for props for their latest Lord of the Rings video parody. 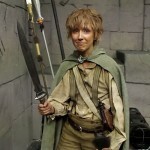 The Hillywood Let it Go parody video is centered around Samwise Gamgee and his sword from iLoveSwords.com! Check out their show. If you’re interested, also check out their extensive behind the scenes video for the parody! 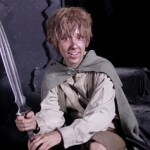 You can also get more details on the same limited edition Sam Sword used in the video here. It’s always fun for us to see where our products end up. 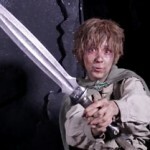 If you have a video or photos of your sword or other prop in action, send us a link! 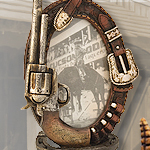 Tired of replicas that just sit on your wall? 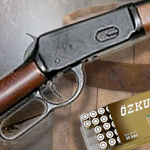 Check out our new selection of blank firing guns; a bang up way to accommodate all yer hoot'n an a' halar'n needs while bringin in the new year! 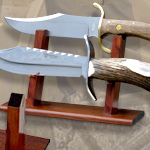 While there, check out the rest of our renovated Old West section at iLoveSwords.com, featuring a nice selection of quality bowie knives, non-firing pistols & rifles, leather holsters, hangers, displays, stands, and other dazzlin' new accessories sure to excite cowboys and cowgirls alike! 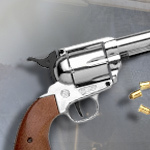 So get yer blank firin' fast draw and fire it wildly in the air like a crazy drunk cowboy in a wild west saloon. (just not in public). Steaming of a white Christmas? 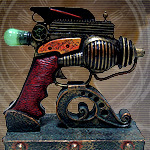 We have cool, exciting new additions to our Steampunk section; full of remarkable products, ranging from gear-filled clocks, inventive blaster pistols and rifles, statues and decor, including an awesome dragon table (a favorite). This unique and fast growing pop culture has its foundations in inspired classic films like Walt Disney's 20,000 Leagues Under the sea, George Pal's The Time Machine, and many others. Check them all out in our movie section . 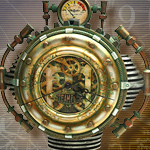 Don't just dream of adventure, get Steampunking NOW! The Specialty section has just been revised with some great additions, most notably a nice collection of angelic and religious figures. In celebration of these heavenly products and the most wonderful time of the year, we are offering these pieces on a special Holiday Sale now through January. Happy Holidays!! Just finished putting the final touches on our new Fantasy Section. Check out the new Kit Rae and Gil Hibbing products as well as a nice variety of gifts by YTC Summit and Pacific Trading. 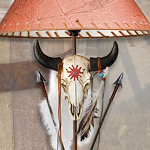 And who could forget everyone's favorite Barbarian Helmet? 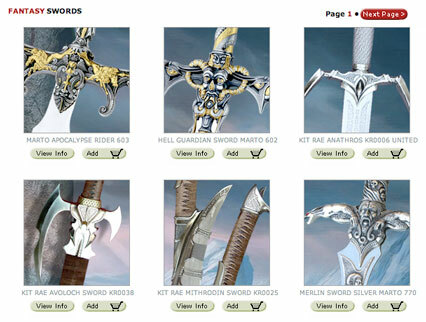 Plus, we put up some cool shots of the rare Marto Merlin daggers, all models in stock! We've been busy giving our entire site much needed overhaul and we've finally arrived at the news section. Let us know what you think of the new design. Thanks for all the continued support! Just in time for the holidays, the Movie section gets a large expansion. All new Prince of Persia, Hellboy/ Hellboy II, Highlander, and God of War sections now online. 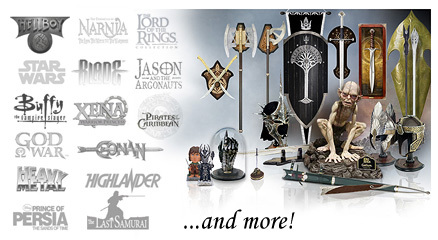 Classic items get a facelift, like sword of Xena, Hercules Veracity sword, Argo- the sword of Jason, as well as expanded sections for Lord of the Rings, Conan the Barbarian, Braveheart, Buffy the Vampire Slayer, Heavy Metal, and the excellent expansion of our Star Wars section. Enjoy.